We are engaged into manufacturing of dewatering pumps, submersible dewatering pumps, portable dewatering pumps, construction dewatering pumps and mine dewatering pumps which are made using high quality raw materials. These dewatering pumps are highly efficient having air/water separation tank of welded steel. Varying sizes are available for submersible dewatering pumps and mine dewatering pumps. We also take care of the customized solutions by the clients. These dewatering pumps are available at market leading prices. High efficiency air/water separation tank of welded steel with automatic peeler valve assembly. Flexible coupling between prime mover and pump. Standardized design of pump and accessories for inter changeability and easy maintenance. 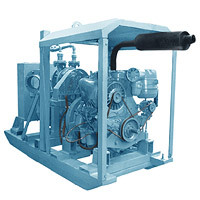 Vacuum pumps driven by common prime mover through belt drive arrangements. 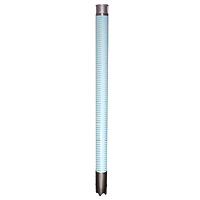 Designed and manufactured by Wellpoint Systems Dewatering Pumps, are available in standard sizes from 4" (110 mm through 10" (250mm) suction. Custom built pumps in other sizes are also available on special order. All sizes are available with either diesel engine or electric motor drive, and on either skid mounting or wheeled trailer chasis as required. Each vacuum pump is capable of displacing 125 CFM free air. Complete Wellpoint Systems' dewatering pumps are designed to give discharges ranging from 30 LPS to 300 LPS. 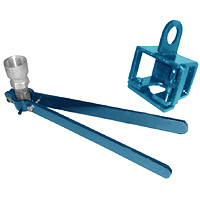 Our range of butterfly valve have variety of applications in the industrial applications. These stainless steel butterfly valves are light weight and can be easily operated. We make sure the valves are leak proof. Valves are easy to install and can leave on high pressure and temperatures. These butterfly valves are offered at market leading rates. Connected to the high pressure jetting hose from the jetting pump, the jet fitting makes set-up for 'jetting in' the wellpoints a simple operation. 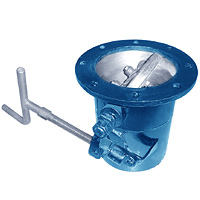 The "O" Ring equipped jet fitting just pushes into the Complete Welltop on the welpoint/riser assembly and a spring-secured bracket slips under the welltop to provide a leak free pressure connection of the wellpoint and riser pipe to the jet pump. When the wellpoint is jetted in, the bracket is swung clear and the jet fitting pulled from the welltop, for use on the next wellpoint. No tools are required. 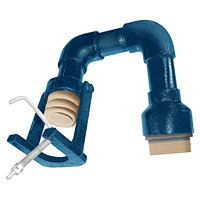 Our pipe puller is an ideal time saving part in the dewatering set up over the conventional methods. This fitting, attached to a crane or other lifting mechanism, makes removal of the installed wellpoint a quick and simple job. The locking gate securing pin is positioned and the wellpoint and riser pipe are then lifted straight out of the ground. The puller releases with a one hand operation and is ready for use on the next wellpoint. Minimizes pipe breakage with a more secure method of lifting pipe sections. Designed to remove self jetting wellpoints, manually as well as with crane. Easy release from welltop for rapid use. No tools are required.